What does the term "synchronic" mean when it's applied to the Bible? 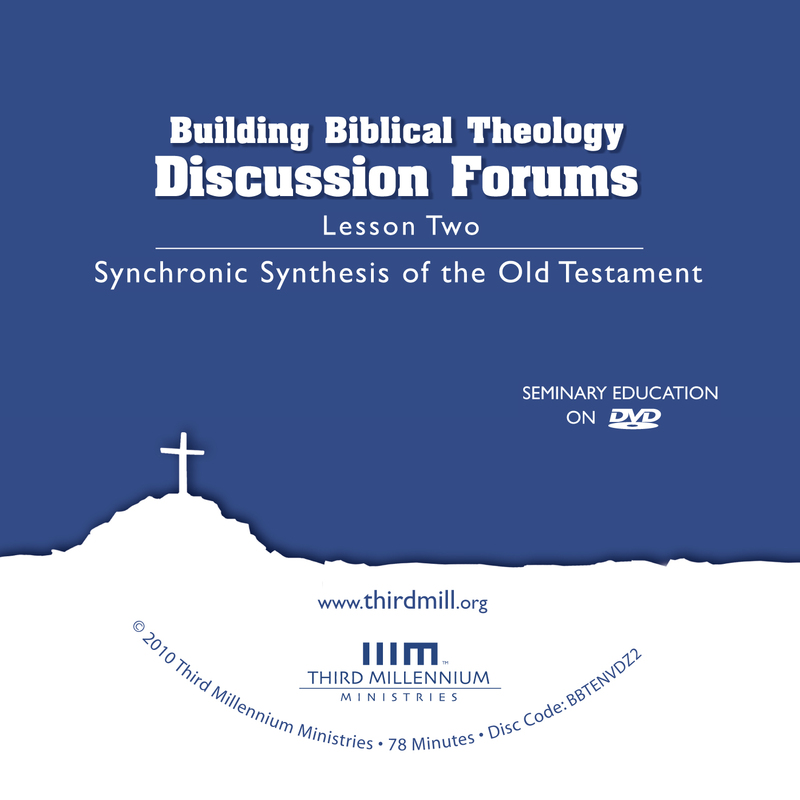 Student: Now, Richard, before I watched the lessons, I had never heard the word synchronic being used before in dealing with the Bible. Can you explain that term to us a little bit more? Dr. Richard L. Pratt, Jr.: The word synchronic is not a common word, that's for sure, but we do use words that are associated with it that are common like synchronize, you know, we synchronize our watches. That means we make them at the same time. And that's really all it basically means. When you say synchronic, or synchrony is the noun, or synchronized, we could even put it that way. And so synchronic, we just say synchronized synthesis. We could have said that, but the term that theologians like to use is synchronic. But basically all it means is: at the same time. The idea, of course, is that in biblical theology, especially with the emphasis of Geerhardus Vos, the thing that connects everything in the Bible is history. It's the flow of time. But the flow of time is so complex and so long when you're dealing with the Bible that you really have to, as it were, chop it up. And this is what biblical theologians do, especially in the Old Testament as we're talking about in this lesson. They chop the Old Testament up into periods of time or moments in time and deal with what's going on at that moment synchronically as if it were a time, an identifiable segment of time. Now, let's just make the point that no matter how short a period of time is, there's something going on there, there's change going on. And so the opposite of synchronic is diachronic, through time. And so even if you have a period of time in the Old Testament, say, the length of day. Let's say you're going to talk about what happened the day that Abraham sacrificed Isaac, or prepared to sacrifice Isaac. That's just one day. But still, lots of things happened in that day. So there's development through that. There's a diachrony, a diachronic dimension to it. But in effect, what biblical theologians tend to do is, as they identify a period of time and deal with it synchronically, they minimize their attention to those changes and they more or less ask, what was the final state of this period? And that's an important question, because when you're thinking about say the Exodus from Egypt…Let's just say we want to talk about the Exodus from Egypt, and of course there's a lot in that. You can start with the birth of Moses. You could go all the way through his call at the burning bush; you could go through the plagues that came on Egypt. You could go through the crossing of the Red Sea. Maybe you stop there, or maybe you stop at Mt. Sinai. So, all of this is developmental. All of it is one thing happening after another after another, and at each one of those steps, God is revealing more of himself in his actions, and he's revealing more of himself in his words. And so a biblical theologian has to in some respects minimize those changes if he's going to talk about the Exodus as a period of time. And normally what that means is they take the last stage or the last moments of that period of time and, as it were, isolate it or freeze-frame it. So it's just the reality that because synchronic synthesis is artificial in this sense, you are in some respects removing yourself from the reality of what was actually going on in the biblical history. Student: So as an example, let's go back to the time of the Exodus. Let's say we start with the birth of Moses and we end in Sinai. Would most biblical theologians then focus on the covenant with Moses as opposed to God speaking in the burning bush because it was later? Is that right? Dr. Pratt: Yes. Right. And the tendency — and these are only tendencies, mind you — the tendency is to read the prior things of that period that you selected in the light of the last thing. These things are only leading up to it, and this reflects back on all those things. So that's just the tendency, the natural tendency. But here the great news is that if you don't do this sort of artificial dividing up of the Bible, then what you end up with is such a complicated thing you can never say anything about the Bible. And I think we use in this lesson the illustration of instructions for putting together a desk, or something like that, and the fact that it breaks it down into steps is a good thing. And that's what biblical theologians are doing. It's an important piece, but it's always important to know that it's artificial, that God did not step out one day and say, "Okay, that periods over. Now we're going to this period." Boom! In a nanosecond. That's not what happened. And so as you go through the synchronic process of identifying particular eras or particular periods of time, it's always important to realize that you're making something digital that's not actually digital. You're making something binary that's not actually binary. And this binary digital reality that you're creating is somewhat artificial, but nevertheless useful. And that shouldn't bother us because that's what we do every moment of every day. We treat things that are actually continuous as if they're separated or separate items just so we in our humanness, in a finitude, that we can manage them better. What does the term "synthesis" mean when it's applied to the Bible? Student: Okay, Richard, so you've explained the synchronic. Now explain the synthesis part. Dr. Pratt: Yeah, because the title of the lesson is synchronic synthesis. Synthesis is more different to define than synchronic. Let's just make that point — that is, if you squeeze it down and really get down on it. We normally in common day speech know what a synthesis is. It's sort of a summary. It's a way of putting the pieces together in a summary statement or a way of sort of including everything in it in some sort of package. It's making everything one. And that's what we mean when we say synthesis. So if we were to take the example of the exodus again that we talked about earlier, lots of things happened. But one way we could synthesize everything that God did and everything God said during that whole period, let's say from Moses' birth until the time at Mt. Sinai, is we could say this: God delivered Israel from Egypt so that they could possess Canaan, the Promised Land. Now that is a simple sentence. It doesn't say everything that goes on there, but it is built out of the relationships of all the many, many acts of God and words of God that are revealed during that period of time, and it brings them together in a logical or coherent package. Now of course this assumes that what God does in the world and what God says about the things that he does in the world are coherent. So that's the key here. If we were to take a Nietzschean approach to history and say that history is actually chaotic and has no reason behind it, it has no ultimate synthetic quality to it, then we would have to say, well, you can't do this. But from a biblical point of view, history happens as it happens because of God's plan for history, and it is a coherent plan. And I think that's an extremely important piece of the puzzle here. How do the Hebrew and Greek mindsets relate to synchronic synthesis? Student: You've also talked about the Hebrew mindset and the Greek mindset. What does that have to do with it? Dr. Pratt: Well that's an important piece of this, because there were stages in biblical theology — and, unfortunately, they continue even in our day in evangelical circles — but these stages where this was emphasized were actually in critical biblical theology where people said that when you read the Bible you have to be careful not to try to make logical sense out of it, because that's not the way "Hebrews" thought about things. Now that whole view was utterly discredited by James Barr in his book The Semantics of Biblical Language . Just absolutely discredited. It's a good little book to read some time — actually, it was a big book and hard to read but was a good one to read — because he took biblical theologians, critical biblical theologians, to task on this. They argued basically that the Bible's view of God, or the Hebrew view of God is that he's dynamic and changing and doing things constantly, and that what he does is really not of concern when you're thinking logically. And so you have to look for contradictions and look for all kinds of things like that and accept them and receive them in. And so the process of synthesizing acts of God and words of God at a particular time really would be impossible. Now Barr said that the distinction that was being made at that time between the Hebrew mindset and the Greek mindset was bogus. The Greek mindset everybody agreed was somehow all about logic, all about stability, all about permanent ideas that fit together in logical forms, and that kind of thing. And they rooted this difference between Greek mindset and Hebrew mindset in the language of Hebrew and in the Greek language. They actually went that far. They wanted to say that this was actually rooted in the languages themselves. And that's where James Barr went after them, because, to begin with, the mind does not think like language works. That's one thing, that's one big problem. But another big problem is that the languages don't work differently, they work the same. The notion was that Greek language is abstract, but the Hebrew language was dynamic and historical, and it is not concerned about logical connections, and the Greek language is all concerned about logical connections. But James Barr just showed that that was not the case. Now the outcome of all of that is this: Greek people think logically and Greek people think historically and dynamically, and Hebrew people in the ancient world thought dynamically and historically, and Hebrew people in the ancient world thought logically as well. And one way you might put this is just because in Hebrew you say shalom to mean hello and goodbye, doesn't mean that you don't know the difference between hello and goodbye. Your language does not reflect your brainwork, your thoughts. It's called logico-grammatical isomorphism, which is one of the biggest mistakes people make with the Bible. So we mustn't be afraid of trying to understand the logical connections between words of God and acts of God in a particular period of time. We can make synthetic summaries of those things. They do make sense. To some degree we can make them make sense by applying just our reasonable capacities as we have as normal human beings, and then the Bible itself can help us see those logical connections or even theological connections among the acts of God and the words of God in a period of time. And this is what biblical theologians try to do. They try to describe what God has done and what God has said in a package so that they can summarize what he did in that period of time and then go on to the next step of biblical theology. Does the Bible use synchronic synthesis? Student: Can you give us some more examples of the Bible using synchronic synthesis? Dr. Pratt: Yes, it's everywhere. Every time the Bible says anything about any time in the Bible, it's making a synchronic synthesis. Let's make that point first. Because even as it's telling a story, what it does is it summarizes what's going on out of all the manifold events that were taking place. So every single step of a story is a synthesis of what was happening that the writer wanted to pull together and say this is important and these are the ways these things connect, because we said in the other lesson that every event is radial, yes? And all they're doing is summarizing even as they write stories. But there are more dramatic and more pertinent examples as well. Take for example Matthew 19 when Jesus describes the issue, or deals with the issue of divorce. When the Pharisees come to him and say, "Why should people divorce?" And Jesus says, "Well, you shouldn't." And the way he does this is he says, "It was not so from the beginning." In other words, he's summarizing that divorce was not a part of the original creation order. And he actually quotes a passage — "For this cause a man shall leave his father and mother, and shall cleave to his wife, and the two small become one flesh." So what Jesus does is basically he summarizes everything from Genesis 1:1 all the way through until chapter 3 on the subject of marriage, and he synthesizes all the information that's there into a sentence or two, and that is a way in which he is characterizing then that whole period with regard to that subject. That is a synchronic synthesis. He doesn't go through every single moment of those days from Genesis 1:1 all the way through to chapter 3 to make his point. That would be next to unhelpful, I guess we could say, because that's what the Bible itself does. So to deal with the issues that he is dealing with, with the Pharisees, he makes a synchronic synthesis. But then he makes another synchronic synthesis in that passage, because he says even though it wasn't that way from the beginning, the Pharisees say, well then why did Moses give us permission to divorce our wives in Deuteronomy. And so he does another synchronic synthesis by saying that, because your hearts are hardened. Now he's taken this huge period of time from the days of Moses all the way to the present day and he's making a synthetic statement about it. He's dealing with that as one period and he's making a synthetic statement about it, and that is: he gave you this law because your hearts are hard. That's what we mean when we say synthetic statements about periods of time in the Bible. Another way in which the Bible synthesizes itself is the way it will summarize the rules of the Bible or the commands of the Bible. When Jesus was asked what exactly is the greatest of the commandments, and he says, of course, "Love God with all your heart, soul and mind," and then he says the second one, even though they didn't ask him, "Love your neighbor as yourself." Now what he's done now is he's taken Deuteronomy 6 and Leviticus 18, parts of the law of Moses, and he synthesizes them in this way with this statement: "All the law and the prophets hang on these two commands." In many respects, what he's done now is taken hundreds and hundreds and hundreds of laws and he synthesized them into a couple of sentences. And oddly enough, the apostle Paul actually says that the whole law is summed up in "love your neighbor". He even leaves out love God in that case. So every time you talk about anything theologically, you are synthesizing. And if you're selecting a period of time, either big or small period of time, you are taking the various elements of God's actions and God's words in that time and you're drawing some kind of conclusion from it that is synthetic. It's not as odd as it sounds at first. It does sound very peculiar, you know? Who does synchronic synthesis of the Bible? That sounds rather bizarre, but we have to put big words on it or it doesn't feel like it's a theological class, right? And so synchronic simply means at one time, whether big or small, and synthesis means just putting the pieces together into a whole package. How can we use the Bible to get information about a particular period of time? Student: Now, Richard, in the video you talk about the difference between "that world" and "their world." Could you give us a contemporary example of how that may look? Dr. Pratt: Let's back up and just talk about in general for a moment before we go to the contemporary world. The issue in this part of the lesson is if biblical theology is going to summarize what happens in a period of time, well, how do we get information from the Bible about what happened in a period of time? That's the basic question. And to do that, we have to realize that the Bible itself is not identical with what happened in the days that the Bible describes. And why is that? It's because the Bible is selective if nothing else. Student: It can't say everything. Dr. Pratt: You can't say everything that happens. You can't describe everything that happens in this room for the next 5 minutes without writing just endless pages of things. So Bible writers are very selective. You remember John closes his gospel by saying if we were to write everything that Jesus did, the world couldn't contain the books. So he's admitting that what he's saying about that world of history is limited. Now the question is, how do Bible writers, how do they decide what limited information they're going to give in their books or they're going to have in their books? And the answer to that in part is — of course under the inspiration of the Holy Spirit — is their world; that world is the real historical events that took place. The writers are being selective about that. And how do they decide what they're going to select? Well, they're interested not in just what happened back then, but they're interested in the people to whom they're writing. So they're going to write, they're going to select things about that world with the interest in mind of their audience — their world — and that is guiding them the whole time. It's just really important to grasp that that's the case. In the most historically oriented parts of the Bible — the Gospels, the historical books of the Old Testament — we see it over and over again. Luke does not have all the things that Matthew has, and Matthew doesn't have all the things that John has. And that's because, even though they're talking about the same "that world," the life of Jesus, they're being very selective in what they choose to talk about in their books based upon their concerns of the people to whom they're writing — "their world." So understanding that, Bible writers are not giving us just straight-up history, they're giving us interpreted history, at least at the bare minimum selective views of history. We can think about movies. I mean, movies today do that kind of thing. Can you imagine? I mean, there have been, for example, many movies made about the life of John F. Kennedy, for example, President of the United States. There's several of them. But are they all correct? Are they all perfect? No, they're not all perfect. But let's just say they made no mistakes at all in any of those movies. Let's say they were all absolutely right on the dot. Now, let's say this, are they all saying exactly the same thing? Do they all include the same events? Do they describe those events in the same way? Even though they're about one "that world," JFK's life. And let's say they don't make any errors just for the hypothesis here, are those four hypothetical movies about John F Kennedy's life, are they going to be the same? Do they have to be the same? Dr. Pratt: They can all say truth, right, about John F. Kennedy's life without being the same? Student: And they're all going to be influenced in some way by whatever motives the writer holds. Is that what you're saying? Dr. Pratt: That's right. And who is he trying to influence with his movie? Student: His audience at that time. Dr. Pratt: Okay, exactly. So you can imagine, can't you, that if somebody made a movie of John F. Kennedy's life let's say in 1969 near his death that the motivation of a film writer at that time, or a screenwriter and then the director of the film, would be different from somebody writing in 2009, 2020. And on it goes. And the reality is that people, when they write about history, or when they make movies about history, or they tell stories about history, if they're trying to be true to history, they're concerned with two worlds: the world of history and the world of their audience, and their world that they live that they share with their audience. Did Bible writers manipulate history? Student: Well, it sounds to me that Bible writers are making things up, in a way manipulating history. Wouldn't you say? Dr. Pratt: Well, that's a common reaction. As soon as you realize that John is different from Matthew, or you realize that Chronicles is different from Kings — and they are, they're very different from each other, dealing with the same "that world" but different as they write to "their worlds" — the immediate response of course is, well, then the liberals are right. Bible writers are just making things up. Well, that's just not the case, necessarily, anyway. It's just simply not the case because all history writing is done this way. You cannot avoid it. No matter what you do in trying to be just telling exactly what happened, at a minimum, you're going to be selective about it. And what's going to guide you in your selection is what you think is important for your audience to get. Okay? And that's just fact. If you're writing a story about something for a twelve-year-old, you're going to be selecting different pieces than if you're writing for a fifty-year-old. If you're writing for people in North America, you're going to be having different pieces than if you're writing for people say in Latin America. This is just the way it works. This is the nature of life and history writing. And Bible writers were doing the same thing under the inspiration of the Spirit so that they never told anything that was false, but they never said exactly the same thing. And you can tell that this is the case in every single portion of historical writing in the Bible. Take for example, the book of Genesis. One of the things that people always ask when they get to about the third, fourth, fifth chapter of Genesis is: Cain goes out and builds a city — chapter 4. Well, where did all the people come from that were in the city? I mean, I thought up to this point all we've heard about is Adam and Eve and Cain and Abel, right? Not even any women for them to marry much less a whole city of people. Well, that's a modern question that we might want to raise with the Bible, but obviously it wasn't a question that Moses had. It wasn't an issue for him. And frankly, I don't think we know the answer. But why didn't he put that in there? Why didn't he explain how Cain could have a city? What do you think? Student: It wasn't part of his purpose. Dr. Pratt: Yeah, it just wasn't part of the information he cared to talk about. You know, that's just the way it is all through the Bible. The Bible has "lacunae," or blank spaces, compared to what we might want it to have. In other words, it fills in certain spaces historically that we might not even in our natural state be even interested in, but it says we should be interested in. And in other things we are interested in, it leaves out. And you cannot write history without doing that. You have eleven chapters in Genesis going from the creation of the universe to the life of Abraham around 2000 BC. Now that's eleven short chapters that you can read in about 45 minutes. Has anything been left out? Student: A couple of things. Dr. Pratt: A couple of things have been left out. So they are not making things up, they're simply being selective in what they talk about, and they are also being intentional in the ways they talk about it. How similar is biblical history to modern journalism? Student: Now let's talk about the analogy that you used between journalism and biblical history. Dr. Pratt: That's important. I can't tell you how important it is, really, in some respects, because I think people often believe that the Bible was written according to the standards of — they're really abstract standards — of modern journalism. Contemporary journalism doesn't do this quite as badly as they used to maybe fifty years ago, or forty years ago. But it used to be told to people who were writing journalistic history like newspaper reporters and people like that, that they should meet at least three criteria. They were to be comprehensive in what they said, they were to be precise in what they said, and they were to be objective in what they said. Now you can actually go online and see that these are criteria that people actually put on reporters and put on historians. The thought was, you know, that history telling, history writing, should be much like other scientific endeavors. It was when people thought that the greatest thing in the universe was science, and science must be comprehensive, science must be precise, and science will be objective. The problem with that is that history writing is never, never, never those things. Not just Bible history, but I mean even the best of modern history is never completely comprehensive, never utterly precise, and never absolutely objective. Now let's unpack that for a minute, okay? Why can't history writing be comprehensive? Rob, why don't you think it could be comprehensive? Student: There's too much. You cannot have everything. Dr. Pratt: There's too much. That's right. I mean, if you have more than a nanosecond of history writing to cover, say, the history of this room in a nanosecond — which you couldn't do because it's too small — but if you have a five-minute period, there are so many things to talk about just around this table that happened in five minutes, you could not stop writing about it. You would either run into the problem of death or imagination being limited. You could not be comprehensive. Well, biblical writers were also not able to be comprehensive. Now God is comprehensive. This is how we know that what little bit he tells us is true, it's because he knows everything. So we don't have to worry that what the Bible says is true just because it's not comprehensive. We illustrated earlier the fact that God doesn't tell us where Cain's friends came from that inhabited his city. Well, there are millions of issues like that in the Bible where the Bible is not comprehensive. Now God's comprehensive knowledge gives validity and gives stability to the little pieces that he does tell us, but we don't have God's understanding of things. We apprehend God, we apprehend his truth, we understand it but not comprehensively. And that would be true for Bible writers also. God can't say everything when he says anything, so long as God is talking to us. Why not? Student: Because he's infinite and we're finite. Dr. Pratt: Yeah, and we wouldn't understand it. So every time God reveals himself to people, as Deuteronomy 29:29 says, there are plenty of things that are kept secret — "The things that are secret belong to the Lord, and the things that are revealed belong to us and to our children." So, only those things that are revealed. So the Bible history is not comprehensive. And so long as you want it to be, you're wanting the wrong thing. Okay, now the second criterion is precise. I think most of us feel fairly comfortable with this idea that the Bible may not be comprehensive, telling us everything, but is it imprecise? There's another question. The issue here on precision is extremely important also, because there are Christians, and they're well-meaning, who believe that when the Bible describes anything, it's giving an utterly precise description of that thing, that event, or that word from God. And typically, such people are reading from an English Bible or their own native language Bible, and so they're convinced, for example, if you're an English speaker, that God spoke these words in English. Or that God spoke these words in Russian, or Spanish, whatever they're language may be. And the fact is, of course, that's not true. Nor did they speak these things in Hebrew exactly the way they are delivered to us in the Bible, nor did they say these things in Greek the way that they're delivered to us in the New Testament. I mean, we know what language Jesus spoke. What language did Jesus speak? Dr. Pratt: Aramaic for the most part. I mean, if you saw the movie you'd know for certain that he spoke in Aramaic, right? And so what the New Testament Gospels, however, refer to the things that Jesus says in what language? New Testament Gospels? Dr. Pratt: No. New Testament Gospels. What language are they written in? Dr. Pratt: Okay, so here you have things that are said in Aramaic being translated into Greek. So did Jesus say the precise words that the New Testament tells us that he said? No, he did not. He spoke Aramaic. Now, there's a difference between truth and comprehensiveness and truth and precision. There's a big difference between truth and precision. Let me just put it to you this way: Can people ever be utterly precise about anything they talk about? No. No, because precision is always a matter of degree. I can tell you it's 2 o'clock, and you might look at your watch and decide no, it's really 2 o'clock plus 15 seconds. In fact, by the time I began and finish my sentence, time has passed, so it's impossible for me to do that with time. It's even impossible for me to do that with measurements of things, physical things. I'll say this is a foot long, and you'll say, well, is it really a foot long? Well, you say it's a foot long if I measure it with this measure; it's a foot long plus/minus whatever if I measure it with this other instrument. And we come down to where now we're measuring doing micro-measurements of things and that sort of thing. But even they are not precise, because the edges of physical objects are themselves fluctuating constantly. Yes? Alright. On a molecular and on an atomic level they are fluctuating, so there's no way to be utterly precise even in the physical measurements of things. And the same kind of thing is true when it comes to reporting historical events. You cannot be utterly precise. Now the third category that's often used as sort of the ideal of a journalistic approach to history…comprehensiveness, precision, and the third one is objectivity. You know, newspaper reporters especially are not supposed to let their opinions come out, right? They're just supposed to tell the facts, just the facts, be objective about it. Is that possible? Can human beings divorce themselves from their opinions as they write about history? No. Now sometimes they're very bold about it, and they'll say, "And this was a very bad person." But sometimes they're just subtle. Their selections and the way they turn a phrase and things like that will reveal their bias, their non-objective, their subjective opinions about things. And that's always true in history writing, no matter what type it is, no matter where you find it, including in the Bible. Bible writers were not trying to be utterly objective. They were expressing their opinions. Now their opinions are authoritative and true. Why are they authoritative? Dr. Pratt: Because they're inspired by God who knows all things. Even though God could say more about it — he could have many other opinions as well — the opinion is correct. So Bible writers were not trying to reach the standards of comprehensiveness, precision and objectivity in some kind of ultimate or utter sense, but we all know that if you don't strive for those levels, those criteria, to some degree, then what you're doing is fantasizing or fabricating and letting error come in, and treating it as if it's true. So while it's true that they can't be utterly any of these things, they are nevertheless to some degree comprehensive, they're to some degree precise, they're to some degree objective in what they are writing down in the Bible. Otherwise, we're straying into leaving out things that are essential, non-comprehensive, or we're being so imprecise that we're misrepresenting what happened, or we're being so subjective, non-objective, that we are simply giving our opinions and the facts don't really matter anymore. So there has to be some measure of this. And so in the lesson I asked the question, well, how did biblical writers decide how comprehensive, how precise, and how objective they needed to be? And the answer was always to fulfill their didactic purposes. Now we're talking, you see, about something that's really important here, because the didactic purpose does not even deal with "that" world as much as it does with "their" world. Bible writers had purposes in writing, you remember? They're going to talk about that world to be sure. They're not going to tell falsehoods about it, which means they're going to be comprehensive enough, they're going to precise enough, they're going to be objective enough, but the standard of what's enough is set by their didactic purposes toward their world. And so long as the report of ancient history or past events is comprehensive enough, precise enough, and objective enough to reach the didactic goal, then nobody even questions whether or not they're true. Now when we say that the degree of comprehensiveness and precision and objectivity depends on your didactic purposes, this means you could talk about the same "that world" for different people in different ways, just depending on who they are, and so long as they don't raise any questions, then everything is just fine. It's precise enough, it's comprehensive enough, it's objective enough. Alright? No problem. This comes up many times with parents and children. If you have one child and you're about to have a second one, the older child often will ask, where do babies come from? Now responsible parents don't tell their little child all the details of biology and explain to them sexual activity and things like that that adults normally go through in order to have a child. They don't do that. If they do, they've traumatized their child. Why would that be traumatic to a child who is maybe three or four years old? Student: They're not able to understand it. Dr. Pratt: They're not able to understand it. They're not able to put it into a package. So often what parents will do is they'll tell a very simplified version of how babies are made. Now we all would know that if we told a three-year-old that babies come from cabbage patches, we know that would be a lie, right? That is so distant from the truth. That is so not comprehensive, so imprecise, so non-objective that it would be false. But suppose a parent said something like this to a three-year-old: "Well, Daddy has a very special seed that he puts in Mommy's tummy." Would that be true enough for a three-year-old? Yes, it would be. It would not be a lie. It would be precise enough, it would be comprehensive enough; it would be objective enough for the child to be able to accept that as true. But when the child becomes eighteen years old, hopefully his idea of comprehensiveness and precision and objectivity is a little different than it was when he was three years old. And so we know the difference between lying to someone — the stork brought the baby, we get them from the cabbage patch, they come out of the sink, or something like that — we know that that's so far from the reality that it's not true, it cannot be accepted as true. But we know also that people are oriented all the time to talking about facts in ways that fulfill their teaching purposes, their didactic purposes, and that depends on the audience. And that's the way it is in the Bible. These standards are met according to the didactic purposes of the writer, and that differs in different periods of time and with different kinds of people, and so on and so on. And that's the way I think we need to look at the history-telling of the Bible. Do figures of speech make it difficult to discern historical data? Student: Richard, you talked a bit about using figures of speech in poetry and the poetic nature of the Old Testament. Does that present a problem for us when we look at the Old Testament's history? Dr. Pratt: Yeah, it sure does. You know, figures of speech are basically indirect ways of talking about things. We might even say they're more indirect ways of saying things, because almost every time you say something you're being slightly indirect. But figures of speech that we know of commonly are things like metaphors, for example, or similes, or even hyperboles, intended exaggerations. These are saying things about reality out there or reality in your mind, ideas in your mind, but they're not saying them in the most stark or literal, wooden way. They're saying them in figurative ways, figures of speech. And the thing that's important to remember about biblical poetry — and there's lots of poetry in the Bible and so it becomes an important issue for biblical theologians — is that figures of speech are concentrated in biblical poetry, as in all poetry. I mean, this is one of the things that makes poetry different from prose; it's that there's a concentration, there's a lot of figures of speech. So you'll find lots of metaphors, lots of similes, lots of analogies and things like that. And you mustn't take those as being stark, wooden, brash descriptions of historical realities, but rather figurative descriptions of historical realities. And do you remember in the lesson, we used the example of comparing the song of Moses in Exodus 15 which is the poetical, hymnic, with the narrative account, and we said that the narrative account in chapter 14 of the crossing of the Red Sea was closer to stark, closer to literal than the poem was? Now the narrative was not comprehensive; the narrative was not utterly precise. The narrative in chapter 14 was not objective either in an absolute sense, but it was certainly closer to the description, it was less elaborate than what we found in Exodus 15. I mean, you remember, Exodus says that God burned them up. Okay? And nobody was burned on that day. Dr. Pratt: Quite the opposite. They were splashed with water, okay? They were drowned in water. So when we realize that those kinds of things are in biblical poetry, it's just very important for us to be careful to ask the question, what's beneath the figure of speech? What's the reality that it's talking about? And to be aware of that helps us then discern what historical facts are being portrayed in the poetry of the Bible. It's just important for us because in biblical theology we're interested in knowing what happened in a particular period of time, and if we take the poetry about those times as literal descriptions of what happened, then we're going to have some serious problems in reconstructing what happened synchronically and then reconstructing the theology of it. It's not to say that poetry is not true, but poetry is true in ways that prose is not, and that's what I think is important to say in all of this. Does that mean that you have to do hard, serious exegesis? Yes it does. I mean, that really is the problem with it. It's not just as simple as just opening your Bible and saying, well, the psalm says this happened, that I'm standing there and a thousand people are falling at my feet because one person is able to kill a thousand. That's a little bit of an exaggeration in most places in the Bible. That's usually not what happens to people. And so you think to yourself, well, then what is it really saying? What's it saying about the facts of the situation? And of course it is that he's having great victory, he sees God's protection, things like that that you could say in a less figurative way. And that's the kind of thing we have to be careful of. Many people are concerned, for example, with Jesus when Jesus talks about the mustard seed. You remember how he describes the mustard seed? He says it's the smallest of all the seeds. Well, scientifically speaking, it's not. And so Jesus is using here a parable, an analogy. It's a figure of speech. He was not even intending for anybody to take as a scientific statement of what the smallest seed was. And then he says that the mustard seed grows into the largest of all the plants of the garden. Well, there are some plants that can grow much larger than a mustard plant. And so Jesus wasn't even trying to be precise, if you hear what I'm saying. He was not trying to be comprehensive or objective. He was intending to be flowery, we might say. And so when you're reconstructing history for biblical theology, you just have to be aware of that or you will be misled. Do we have to bring external data even to biblical narratives? Student: Now is it true that even in narratives that we have to bring in information that is not presented to the readers? Dr. Pratt: Yes, absolutely. And the reason for this is because the way that Bible writers were often limiting themselves and not saying certain things explicitly — in other words, not being comprehensive as we said, or even precise, or for that matter objective — is because they assume things about their readers, that their readers understood things, that they knew things, and that they don't have to say. I mean, when you tell a story to someone and you know that they understand certain things already, you don't necessarily have to say them. All the details can be left out. And even though those details could be very essential to the story itself, they are never said because you assume that your audience understands that. If they don't understand those details already, then they'll come at you and ask a question and you clarify. Well, the same kind of thing is true with Bible writers. They said things and talked about things in ways that ancient people often already understood, and they knew that their ancient audience could understand those things, and we as modern people sometimes have to fill in those gaps, fill in those holes with information that we get from other parts of the Bible and even from general revelation like archeology and things like that. I mean, this is just the fact. And so when you're doing synchronic synthesis of a period of time, you're not just limiting yourself to exactly what the Bible says and only to what the Bible says, but you're asking the question again — because didactic purpose for their world is important — what was the writer assuming they already understood that we may not understand so well? It happens all the time. What modern archaeological discoveries have helped us understand the Bible? Student: Richard, can you give me an example of where maybe a modern archeological discovery has helped us understand Scripture better? Dr. Pratt: Yeah, there are lots of them, of course. That's why biblical archeology is so important, right? But one great example is in Genesis 15. When Abraham asked, how can I be sure I'm going to get the land, or my descendants are going to get the land of Canaan? God says go get some animals. And that's all that the Bible says he says. He doesn't say, now go get some animals and do this and do this and do this and do this. All he says to Abraham is go get these animals. And the next thing you know, Abraham's taking these animals and cutting them to pieces and throwing the body parts on either side of a path. Well, you want to know why's he doing that? God didn't tell him to do all of that. But the reason for this is because of Moses' didactic purpose and how much affect it had on him. He knew he was writing about Abraham's life, two people who knew and understood that when God said those words, "go get these animals," that they knew exactly what Abraham was supposed to do with them, and that was that he was supposed to cut them up, take their body parts and throw them on either side of a path. So Moses didn't have to continue with the instructions, if God in fact did give Abraham instructions. We don't even know if he did or not. But he didn't have to continue with them because his ancient audience understood them. Now for centuries, Christians didn't understand those ceremonies in a way that helped them understand Genesis 15. I mean, why was it, people would wonder, that God says go get these animals, and instead of petting the animals or feeding the animals, he starts ripping them to pieces and throwing their body parts everywhere; people were dumbfounded by this. They could not understand what was happening. But in recent archeological history, we have discovered that what God is doing in this passage is making covenant — the passage says that explicitly — and we have found that there are ceremonies much like what Abraham performed that day, by cutting those animals and throwing their body parts onto either side of a path, there are ceremonies in other ancient Near Eastern texts from many different cultures that have that kind of ceremony and precisely using animals in this way, and we know the meaning of these things because the instructions and the explanations in these ancient texts, these ancient cuneiform texts, are actually laid out, they're spelled out, and so we know what the ceremony meant. We know that Abraham understand, and we know that the Israelites, hearing the book of Genesis, they understand what was happening, even though we didn't for the longest time. Now we know that what Abraham was doing was preparing for a ceremony of self-cursing, or self-malediction, sort of like young children do in our culture where they make a promise and they cross their heart and hope to die. And that's what Abraham was about to do, because that's what people did in those days. They took animals, they cut them up, threw their body parts on either side of a path, and then when you make your covenant, or you make your agreement with someone, you walk down the patch that is surrounded by all these body parts of animals. And the significance was, if I break my promise, may I be torn to pieces like these animals are torn to pieces — cross my heart, hope to die. So Abraham understood that. God didn't even have to explain it to Abraham. Moses understood it. His Israelite audience understood it, so Moses didn't have to say it to them. We didn't understand it, but general revelation in the form of archeology has helped us, and has made tremendous sense out of a passage that before did not make sense at all. And so every time we deal with any part of the Bible and we're trying to reconstruct what happens in a period of time through synchronic synthesis, we are bringing information not just from the Bible but from other sources as well, so long as it doesn't contradict what the Bible says, to fill in, to help us understand the significance of events and even what events took place. It happens all the time in Bible interpretation. Is Genesis chapter 1 poetry or narrative? Student: Richard, I liked what you said in the lesson in Genesis 1 about the firmament being an imprecise description of the atmosphere, but is what you're saying…is Genesis 1 poetry? Dr. Pratt: No, I'm not saying Genesis 1 is poetry. I basically believe it is written as narrative, but a particular kind of narrative. Let's see if I can explain it this way. The difference between narrative and poetry is not categorical or binary. It is a continuum, so that you have some poetry in the Bible that's rather extreme in its poetic qualities; it's so elaborate in its use of figures of speech and things like that that you can hardly believe it the way it's talking about things. I think of Micah 1 as a good example of that, describing the approach of the Assyrian army, and as the Assyrian army approaches the mountains melt and flow like wax all over the place, and things like that. That's highly poetic poetry, down to prosaic poetry that is called poetry largely because it comes in those parallel lines, and that's about as much as you can say is poetic about it. And then the same is true over here with narrative. Narrative can be very wooden, and lots of times reports in Chronicles or in Samuel and Kings are rather wooden, rather straightforward, to where there's a range of narrative where you have actually highly poetic narrative, sort of elaborate, eloquent narrative that will bring in figures of speech from time to time. And sometimes if you're not aware of those distinctions on the narrative end, you can feel as if the writer is trying to be utterly precise when he's really not trying to be utterly precise. And let's just say this about Genesis 1. And I talk about Genesis 1 in the lesson because it's so controversial in our scientific age and that kind of thing where we think we know a lot about how God made the world. I don't think we know that much about how God the world, actually, except from the Bible, but scientists seem to think so, and Christians seem to buy into it a lot. But let me just say that when you read Genesis 1, God could have told Moses a very scientific description of the way the world was made. He could have spoken of an atmosphere, earth's atmosphere that separates outer space from the waters of the planet and that kind of thing. And he could have said this is what's going on Moses. Of course Moses probably wouldn't have understood a whole lot of that, but he still could have done it. And I must say that that description that I just gave that sounds very precise to our ears is really not very precise at all. You can refine that to the "Nth degree" and have a lot better description of what the atmosphere of earth is — separating outer space from waters beneath us and that sort of thing. But in the ancient world, people understand that there were waters above and waters below, and the waters represented for people not simply water "H2O," but chaos. And the collapsing of waters above and waters below represented the collapsing of livable space. They knew that much. One of the reasons they called them waters was because the sky looks blue like water in the Mediterranean Sea often in certain parts looks very blue, sky-like blue. And so it's very interesting that this is the way they understand the world to be. The Egyptians have pictures of water above and waters below colored in the say way in their hieroglyphs, and so it's very nice to realize that this was the way people commonly talked about it. And so Moses is describing in this case the separation of the stuff above us from the stuff below us in ways that are not as precise as some scientific descriptions would be today, but he's describing it precise enough to meet his didactic purposes. And that's always the standard, the didactic purposes. And so I don't think we have to go so far as to say that Genesis 1 is poetry in order to accept it as being true. All we have to do is simply say it's precise enough for what Moses was trying to do with it. He was not trying to do any more than this. He was trying to explain to them that God had separated the chaos above, which we would call outer space, from the chaos below which we could call the oceans and the deep, the salt water that destroys life as we know it, our kinds of life anyway, and that he has separated those two and kept them separate by this firmament that he put in the sky to keep them that way. And so it's an imprecise way, yes, and perhaps for our scientific minds so imprecise that we find it hard to believe as true, but when we set it back in the days of the Bible, we realize it's precise enough to reach Moses' purpose and so it's successful, just like saying it's 2 o'clock when it's really three seconds after 2 o'clock. It's that kind of a thing. How scientifically precise is the Bible? Student: And would you say that it's the same case here in the story where the sun stood still? Dr. Pratt: Yeah, in Joshua where the sun stood still? Exactly. I mean, we don't believe that the sun's movement relative to the earth changed. We know now that it's the movement of the earth that gives the appearance of the sun moving across the sky, right? And so we have other ways of understanding the expression "the sun stood still." We would say perhaps something happened to the rotation of the earth, perhaps there was some kind of special light effect that extended light over the horizon in ways that we don't understand, those kinds of things. Whatever your answer is to that on a more scientific level, the Bible says the sun stood still, and we have to again understand that the Bible writers were being precise enough about these things to accomplish their purpose for their writers. They were not trying to give an utterly precise description of those realities. And I think that's a wonderful thing to realize. We're not saying, therefore, that they were not true. It was true. The sun stood still. In fact, we talk that way now in our own day because we're talking about the way things appear. We talk about the sun rising and the sun setting, and nobody says, "Well, that's not true." You don't on the weather report say, "Why are you talking about sunrise tomorrow being at 6:15 a.m.? The sun doesn't rise. You really should be saying that the earth rotates to a certain level that you have now the appearance of the sun in the sky or sunlight in the sky." But it's common parlance and it's precise enough for the meteorologist to say "sunrise", because it accomplishes his didactic purpose, or her didactic purpose, and nobody argues about it. That's the reality that the Bible has, too. And it doesn't make it unreliable for the right purposes. It does make it unreliable in the sense of trying to reconstruct in more scientific senses precisely what happened, but it does not make it reliable in the sense of portraying truth to us, conveying the truth to us that God separated the waters above, the waters below, meaning the chaos above, the chaos below, and created this sphere within which humanity could live and serve its purposes for God in the world. And so we don't have to identify truth with precision. And that again is the important, the key element here. Why should we include information from other time periods when doing synchronic synthesis? Student: Richard, in the lesson you talked about synchronism was about collecting all the data about a single time period, but you also said we can bring in information from other periods of time. How can both be true? Dr. Pratt: Good question. It's assuming that when certain things are being described to us in the Bible about a period of time that we don't get all the information that the people in that time knew just from Bible passages that come from that period of time or deal with that period of time. In other words, there are things that were revealed earlier that we don't know about except by implication, and there are things that are revealed to people later that are not new but rather are the first time it's recorded in the Bible. So let's back up on that just a little bit. We used the example, for example, of Noah. Noah is told that he's supposed to bring clean and unclean animals into the ark, seven of the clean and two of the unclean. So let's assume now we're dealing with the time of Moses. We're going to do a synchronic synthesis of the time of Moses, and part of what we want to do is we want to say Moses brought in clean and unclean animals. God does not explain in the Bible to Noah the different between a clean and unclean animal. And why not? It's not comprehensive including that kind of information. The reason for this is because Moses had a didactic purpose and audience to whom he was writing, and they knew what clean and unclean animals were. So we assume that for Noah to perform this act that God had commanded, he, Noah, had to understand the difference between clean and unclean animals even though the Bible doesn't tell us that God explained all that to him. So how do we know then what kind of animals Noah brought into the ark? We go to what the audience knew. They knew the law of Moses, and the law of Moses explained to them what were clean and what were unclean. And we bring that information, even though it's from a later period, we bring it back into the earlier period of Noah's day because we believe that Noah had to know that in order to be able to obey the command of God. So God revealed all kinds of things to people that are not recorded in the Bible, and that we have record of God's explanations of these things only later in the Bible. We come to hiccups like that and we say, well, how did Noah know the difference between clean and unclean? The answer is, remember that Moses is writing to the Israelites about this, and so his record is designed to speak to them. He didn't have to tell them all the other things that God said to Noah that day because they already understood it from their later revelation. So that kind of thing does happen in the Bible a lot. But also many times what we discover is that if we're dealing with something in the Bible that seems obscure to us, sometimes we can look at other periods of revelation and realize that, hey, now this was understand by the people living in that day and I can now make sense of what was going on in that day because they understand it. We're not talking about developments beyond the day that we're examining. We're talking about things that they already understood that did not need to be reiterated in the Bible. So for example, one of the things that is said to Abraham is, "Abraham, you're going to have many descendants and you're going to have possession of a land." Now if you read the record of Abraham's life, there's never any explanation given as to why God would do that. Why would God say to Abraham, I'm going to give you babies and descendants, and I'm going to give you a land? I mean, there's absolutely no reason given. There's no theological explanation of it given in the whole life of Abraham from Genesis 12 to Genesis 25. It's never explained. So you're looking at this and you're saying, well, did God ever explain this to Abraham? Did he ever explain to him why he was going to give him children and descendants and give him a land? No he doesn't. Why not? Well, Abraham already understood these things, and perhaps God actually did explain it to him, but Moses did not have to write about that explanation, the reason for many children and a land, because earlier in the book of Genesis he had set us up as readers, and Israel as readers, to understand why multiplication and dominion over the land were so important. Can you guess where that would be? Where did God do that? Dr. Pratt: Genesis 2, exactly, or Genesis 1, where he says be fruitful and multiply and fill the earth, subdue it and have dominion over it. And so that piece of Genesis 1 is assumed as true and known by Abraham, so there's no need then for God or for Moses to repeat that idea that humanity was made to fill up the earth and to have dominion over the earth. It's assumed that Abraham understood that and that we as readers, or Israelite readers, should understand that, too, and then interpret the promise of many children and a land to have dominion over or to possess as connected back to what God had said earlier. So it's not that we're reading in revelation from earlier times into Abraham's life without the assumption that Abraham understood it. Because remember, Moses' record in Genesis is sparse. It doesn't by any means comprehend everything God said to Abraham in his life. When Abraham heard that call, he may have said to God — we don't know — he may have said, well why would I want lots of children? Why would I want a land to possess? Well if he did raise that question with God, God told him. Because it goes back to Adam and Eve, this is what human beings are supposed to do; this is your purpose as a human being. Now the fact that God doesn't re-explain it to Abraham, as far we know, probably assumes that Abraham understood that this is what humanity was designed to do. So it's not that we're reading in other periods of time into the particular period we're interested in, but we're assuming that these are pieces that are needed and that were assumed by the writer as he fulfills his didactic purposes toward his readers that understand more than we often do. When do we have enough information to interpret a passage? Student: Well it sounds like it's necessary, first of all, to look outside of a scene to find a full amount of information to interpret what's going on within that scene. But where do we draw the line? How do we as theologians know when we've got enough information to correctly exegete a passage? Dr. Pratt: Well that's a difficult question because that is a case-by-case, situation-upon-situation issue. I think that really the reality that we all face is that when we come to a particular period of time in the Bible, we are not coming as blank slates. We've got things from the whole of the Bible in our minds, and we can't avoid sort of pushing those things into that era just a little bit, into that synchronic slice, as it were, just a little bit. But we have to be careful. And what we have to be careful of is bringing in ideas that represent developments that are far beyond the period of time that we're dealing with. I mean, the reality is that the Bible develops themes in very elaborate ways as new revelations are given, and we have to be careful not to bring all those assumptions of later revelations into that earlier period. But those later times — the things we learn from later times — may help us understand what they did understand back then that's not spelled out for us there. You just have to be careful to do that. You don't want to say that Abraham understood that he was going to give birth to Jesus of Nazareth who was born in 4 B.C. just because that's the great seed of Abraham. You don't want to say Abraham understood all that, but you do want to say that Abraham understood that his family was going to be the leading family of the earth in bringing God's kingdom to the earth, to filling it, to multiply in filling it, subduing it, and having dominion over the earth. And taking the Promised Land and having a great people of God like that was a step toward this greater reality that will come one day, and we can learn a lot of that not just from what's said in Genesis 12–25, Abraham's life, but from what's said before it in Genesis and what the rest of the Bible does say that you sort of have to take the later revelations and drop them back, regress back to what Abraham could have understood in his day in continuity with what later occurs in the Bible. I think that that reality is something that we always have to realize, and it's why in this lesson we keep on saying that diachronic analysis of the Bible is always being done as you do synchronic analysis. It's not like this is a one-two step. Diachrony and synchrony actually are like webs of multiple reciprocities; always things relate to each other that way so that they feed on each other back-and-forth, back-and-forth. And the more we do that responsibly and carefully in synchronic analysis that makes sure that we are only saying things from later revelation that would have been believed and understood at that time, then we're doing it in the right way. We're keeping ourselves located in that one period of time. How do covenants function as middle-level theological structures? Student: Richard, you identified the middle level theological structures as covenants. Can you explain that a little bit more? Dr. Pratt: It's important to get this idea that we're saying in this lesson that theological structures that occur in any given time of the Bible can be taken on a small scale or a very large scale. And when you look at the Bible with careful, detailed exegesis, you're usually dealing with very low-scale things, like we give the example I think of Eve being created for Adam and how in that series of a narrative, we talk about this act happened and then God explained it, or God predicted what he was going to do next, so the words and the acts of God form certain configurations. We could pick any others, but that's a very helpful example because it shows that even when you're doing the exegesis of a single passage, you're always interacting with the words of God and the acts of God, and that's an important basic-level item. Now segmenting that off is just artificial, because we could say can do that from the smallest little piece of the Bible all the way up to the whole Bible, which is basically where we're going on this, but to do that we just simply dissected the Bible or broke the Bible's theology into three levels: basic, middle and then the really complex ones. And it's a continuum, so when we segment them off this way, you realize that's artificial. But yes, I did say that the middle level structures of the Bible, its theology, that in fact cover all biblical passages, the lower level items, are covenants. Covenants in the Bible, the dynamics of the way covenants work. Now I should make the point here that people who emphasize covenants a lot in biblical theology have different views of how covenants work. It's a problem, because some people believe that certain covenants were unconditional and other covenants were conditional, and they kind of divide them up into the good ones and the not-so-good ones, and that sort of thing. That's not my view. My view is, and that's expressed in this particular lesson, is that all covenants in the Bible share very similar dynamics. It's not to say that they don't have certain emphases, because they do. But the basic functioning of life in covenant with God is the same no matter what period of time you live in. So if we're dealing with a particular passage and we're seeing what God does with people in that passage, what he says to them, to understand the system of theology that surrounds that, you have to understand how covenant works in the Bible. And I lay out this sort of threefold approach to covenants that I think is true of all covenants in the Bible, and that is they stress the kindness and the benevolence of God; that's first, that everything is by God's mercy, everything is by God's grace or his benevolence in the case of before sin came into the world, his kindness to us. But when God makes covenant he does it in a way that ancient Near Eastern treaties were, and that is that he requires loyalty from the people who are receiving it. And so God's mercy and human loyalty are not opposites of each other. It's not as if you have one or the other, God's grace or human loyalty. They go together in biblical covenants. And then the third element you'll remember in that chart was consequences, that there are consequences to you loyalty or disloyalty, and they are either blessings or curses, and in one way or another, they all work out that way, all of them. And that's what I mean by that middle-level theological structure. How do covenants relate to the doctrine of salvation by grace alone? Student: But isn't salvation by grace alone? Dr. Pratt: Yes, salvation is 100 percent by grace alone. Let's recast this now in terms of our basic Christian theology. I'm not saying that being in covenant with God, first, is not the same as being saved. That's the first thing because there are people that are committed to God in certain kinds of covenant relationships that are not actually eternally saved. But apart from that let's make this other point. The Bible teaches, yes, salvation is 100 percent by God's grace — Ephesians 2:8, 9: "For it is by grace you have been saved through faith and that not of yourself; it is the gift of God lest anyone should boast." So it's all by God's mercy. But when God shows saving grace to people, when he gives them that saving grace, they will respond to it in certain ways. They will first have initial faith and they will be justified because of that, and then their lives will be characterized by good works; now not perfection but certain fruits of God's mercy in their lives. That's all I mean by human loyalty, that when God requires human loyalty of us, he in covenant throughout the Bible, Old and New Testament, he's saying basically if you really are receiving my salvation, if you are going to be in good standing with me, then you must also demonstrate that my Spirit is at work in you; as John the Baptist put it bring forth the fruit of repentance, and as Paul put it in Ephesians 2:8, 9 and 10, because the verses go on, yes it is by grace you have been saved through faith, but in verse 10 he says, "For we are God's workmanship created in Christ Jesus unto good works, which he foreordained that we should walk in." So if you are saved by grace through faith, you're going to have this loyalty factor that comes involved. And what the Bible often does is it talks about the loyalty factor, and judgments are made by God based upon whether a person is being loyal or not, because God can see the heart. That doesn't mean perfection by any means, it just simply means loyal to him, that your heart is attuned to him and that you're trying to obey and trying to be obedient. And, the consequences of your obedience and disobedience will show themselves in certain kinds of blessings and cursing both in this life and the life to come — they're different in different ways, and we'll talk about that later on. But the idea is that this is the fundamental dynamic. It is even the fundamental dynamic that comes to expression in Jesus' life. God sent Jesus as his great benevolence or great kindness, but Jesus was utterly loyal to God the Father, and that's why he receives the consequence of the blessing of resurrection and ascension into heaven and ruling over all things. And we, by having faith in Christ and by living by his Spirit, enjoy the same blessing that Jesus had. And so that basic dynamic is always true, and this is what's important. It's always assumed by Bible writers. Remember how we talked about their didactic purposes? So their didactic purposes toward their audiences govern what they say about that world — shaping their selection, how comprehensive they'll be, how precise they'll be about things, how objective they'll be about things. It shapes it. The didactic purpose is what shapes it. Well, you have to remember that part of the didactic function of a Bible passage is that the author has this basic covenant theology in his mind and often assumes that his readers understand it also. And so original readers of the Bible should not have been surprised when they saw that every passage in the Bible somehow deals with God's benevolence toward people, and they should not have been surprised that that benevolence was always connected to some kind of human loyalty in one way or another, and they should not have been surprised that there would have been consequences of that of blessing and curses, because this is our religion. This is Bible religion. And even though the covenants shift and change in their emphases on these things as you go through the history of the Bible — just take the major covenants with Adam, Noah, Abraham, Moses, David and Christ — though there are differences among them in terms of emphases and the like, they are nevertheless still functioning with that basic theological program. So to think about all those little balls and lines connecting the balls that represent theological structures, those configurations, connections among the acts of God and the words of God at any given time in the Bible are always being shaped by this framework of divine benevolence, human loyalty, and the consequences of blessings and curses. That's all that's really being said here. So you can take any passage in the Bible and you ought to be able to look at it and say, okay, either it's going to explicitly or implicitly talk about at least three things: God's benevolence, human loyalty and the consequences of blessings and curses. In one way or another, either explicitly or implicitly, every single passage in the Bible does this. I don't care what story you're talking about. I don't care what psalm you're talking about, what proverb you're talking about, what gospel passage you're talking about. They're all about those dynamics. It's always in the background, always working, always functioning, always shaping the theological configurations of the specific acts and words of God in it that are revealed in a particular passage. So that's why I call it middle level.  I call it middle level because it's bigger than a particular passage. So it's higher than your analysis of a specific story, let's say, but at the same time it's middle level because it doesn't stay the same as you go from one covenant to the next, it changes and shifts. But nevertheless, it's extremely important to believe, in my opinion, that the basic covenant dynamics, the relationship between humanity and God did not change as you move from Abraham to Moses to David to Christ. Otherwise, we can't make sense out of the New Testament when it tells us that you must have good works, that faith without works is dead. How can James say such a thing unless he believes that there is the requirement of human loyalty? And that there will be consequences to this, and that the way we live affects our final outcome because it proves something that's true of our hearts as to whether or not we have had saving benevolence given to us, saving grace given to us. And so all through the Bible that's the way it is. How does kingdom function as the Bible's complex-level theological structure? Student: Okay now Richard, you talk about the most complex synthetic structure being that of the kingdom. You sort of talked briefly about it in the lesson. Can you elaborate more about that? Dr. Pratt: Yes, we did go through it quickly because we're going to go through it again in the next lesson, and again and again and again because I think it is so important. But let's back up just a little bit, back off of it a little bit to explain first what I mean when I say that it's the complex level. Remember the simple level is dealing with what happened in a particular passage or passages down to the details. The middle level is saying basically that there is a frame around every passage, that's assumed in every passage, and it is covenant, the dynamics of covenant — God's benevolence, human loyalty and the consequences of blessing and cursing. That's always functioning, always in the background even if it's not said explicitly. And I am suggesting in this lesson that the mega-structure of the whole Bible is what we can call the kingdom of God. Now that's a New Testament phrase and so it's familiar to Christians. It's not an Old Testament phrase so it may seem a little bit strange to say that that's the theme of the whole Bible, or the multiplied, or complex framework for the whole Bible, the unified framework for the whole Bible. We could call it any number of things, and maybe I should just sort of spell out what I mean by it, and that is that God made the world, and he made history for a purpose. And it really is very simple when you think about it, and it makes sense of so much in the Bible, and I don't know how I ever lived without understanding this, and I don't know how people make sense of the Bible without understanding this. God made the world for a purpose. This world is a stage in which God is going to prove for his own pleasure and his own glory that he is the creator of all things, and the way he is going to do that is he is going to turn this entire earth into a magnificent display of his goodness and his righteousness, and he is going to come here in his glory and fill up the whole place. And when that happens, the way Paul puts it is every knee will bow and every tongue will confess that Jesus is Lord to the glory of God the Father, because from him and through him and for him are all things. To him be the glory forever. When the Bible says everything is for his glory and certain Christian traditions will say, what's it mean to say all things are for his glory? Well, they say, they don't know, it just means for his glory. Well what that means is at some point, and it's when Jesus comes back, the world is going to be filled up with the visible glorious presence of God so that we won't need to sun and won't need the moon. They'll be like flashlights in the noonday sun, because God's glory will be here. And when that happens, all naysayers, both spiritual ones and physical ones, will be proven wrong. It'll be beyond question anymore because he will have turned this earth into his kingdom. The way the book of Revelation puts it in chapter 11 is, "the kingdom of this world has become the kingdom of our Lord and of his Christ, and he shall reign forever and ever." That's the great hope. Now what I'm suggesting is that what's said explicitly at the end of the Bible is actually not a new thing. It's what governs everything that the Bible says from the very beginning, and that this was understood by the people who wrote the Bible, and it was understood by the people or should have been understood at least by the people who first received it. Now you say, well why would you believe that? Well the answer to that is because they lived in a very different world than we live in. They lived in a world of empires, and they lived in a world in the ancient Near East of gods who were vying for supreme power over the world, and that meant when a god became enthroned and became powerful in the heavenly places and recognized and glorified, it was because his nation on earth was expanding and growing and building out, and he was taking more of the earth for himself, and this made him special and spectacular. This was common sense to people in the days of the Bible. It didn't have to be stated explicitly. It was so commonsensical that if you didn't understand that, you didn't even understand what you were as a human being except that you were a part of that kind of divine activity. Well the Bible is telling us that this common sense belief that people had back in the days of the Bible was not entirely wrong, but now it's telling the truth about it. Which god is really going to prove he's supreme? How's he going to do it? That's what the Bible displays, and that's why I say that the kingdom of God is the theme of the Bible, and it pops up right at the very beginning of the Bible. When is the kingdom of God motif seen in the Old Testament? Student: Richard, could you give us one of those early examples of where the kingdom of God motif comes into Scripture? Dr. Pratt: Yeah because all you have to do is understand that any time a royal motif is used, that God is a king and that he's doing things like a king, you're talking about the kingdom of God, what the New Testament calls the kingdom or the reign of God. And it happens right in Genesis 1 when God says, "Let us make man in our image, in our likeness. Let them rule over the fish of the sea…" and so on and so on. Because the phrase "image of God" which is the first thing that God ever calls human beings was not unknown in the world of the Bible. It was known among the Egyptians, it was known among the Babylonians, the Assyrians. Even the Canaanites would speak of images of god, sons of god, likenesses of the gods. Now they reserved that for a particular person in society and that particular person was the king. He was the only true image of god; he was the only one who was really the likeness of the god or the son of the god, because his role as a king in the ancient world, Pharaoh for example, was to learn what the gods up in heaven wanted and then to make it happen on the planet down here to display the glory of the god that he worshipped. That was his role. That's why he was called the image in the likeness of god. And what Moses is saying is that the truth of the matter is all humanity was made for that purpose. All humanity is called the image of God because God is the king over all and he wants the planet to be made into his kingdom, and the means by which he's going to do that is his image much like other religions and other cultures believed that their gods were going to make their kingdom by the king. Moses says, no, not just the king. Everybody. This is what God has done. So right in Genesis 1 we find a royal term; God seated in his heavenly council, which is itself royal, saying let us make man in our image. And so he creates the royal figure — the vice regent we often call them, the viceroy, the representative of humanity whose job it is to be a part of, to be the central part of turning this earth into the kingdom of God. That's magnificent when you realize that. And then when you begin to realize what's the big deal then of Adam and Eve rebelling against God in the garden? All they did was eat from fruit. Well, it was his garden. It was his royal garden. He owned it. So when they disobeyed him, it became extremely significant. Humanity was so significant that, in Bible terms, it wasn't just that humanity was cursed when they sinned — Adam and Eve — but the whole creation was thrown into this chaos because of Adam and Eve. That's how central human beings were, because they were representatives of the king. And he had first told them I want you to take this little paradise and I want you to extend it to the ends of the earth, but they failed while they were still in the little paradise. And so now the whole earth is corrupted. Why? Because of the actions of these two people. That just shows how all of this is very royal, and even in the right sense, imperial. God is creating his empire on the earth through the Bible. And so that theme continues to be the theme of the Bible all the way through. Israel is selected as the firstborn of all the nations to do more than anybody else, to lead the way for humanity in serving this great king of heaven and turning the world into his paradise, into his kingdom. They don't do so well, just like Adam and Eve, unfortunately. So eventually they are punished for what they did, and that's covenant stuff; they get the consequences of curses because they fail so miserably. And then Jesus comes as the son of David who is the leader of those people who were specially selected, and he brings the kingdom, the spread of God's will to the ends of the earth, to its final stage. He does that in his first coming, and he does it now through the church, and he does it through his second coming. And that's why the New Testament calls the gospel most frequently, the gospel of the kingdom of God — the gospel of the kingdom. That means that the good news that we share with people about Jesus is about the kingdom, that Jesus actually made it happen. That's what is so good about him; he was so righteous in and of himself that he earned the blessing of God in and of himself. He died for people like you and me that aren't so good so we that can share in it too just by trusting in him and following him. And one day when he returns, he gives that to us to enjoy when God the Father comes and fills up the whole earth. Now that theology develops through the Bible. People didn't understand the whole picture in every detail of all that, and especially they didn't understand how it all came to Jesus of Nazareth and how he would have a first coming and second coming and everything in between. They didn't understand all that, but they did understand that God made the world for a purpose, and the purpose was to demonstrate that he is the king over everything by turning this planet into his kingdom. So everything that happens in the Bible, down to those little lower levels of each individual passage, and every covenant that God made, are all designed to further that big program of turning the earth into the kingdom of God, defeating evil, eliminating it from the planet, and demonstrating that God is the glorious king over everything. And when you get that, when you understand that, that was the reason for the Bible being written was to explain that to people, then you get the sort of meta-narrative that's behind the whole Bible, the theological structures that are everywhere. I mean, the most frequent way God is revealed in the Bible is he's the king, and human beings are his images, designed to bring his kingdom. He manages his kingdom through different periods of time by covenants, just like kings did in the ancient world; benevolence, loyalty, consequences of blessing and curses, but all for the purpose from him, through him, and for him are all things, to him be the glory as the king over all. So it really is the mega-structure of the Bible, and if we can start plugging the pieces of the theological structures of the Bible into that framework, then we have a way of understanding how the structures of the Bible in every period of time, every synchronic synthesis is somehow related to that kingdom theme as it was being revealed at that period of time in the Bible. So it's really a wonderful thing. And I'm encouraged to know it, and I think that it draws pieces of the Bible together that sometimes just dangle out there without any kind of unity at all. And this I think is one of the great products, the great results of biblical theology.